“My husband and I were at our wits’ end when we got our 6-month old puppy. She jumped up on us, on the windows outside, and was nipping at our clothes and hair. She was wild and rambunctious indoors and outdoors, she chewed on everything in sight, and she wasn’t house-broken. Our normally quiet household was in complete chaos and we didn’t know what to do. We found Barbara Davis by searching on the internet, and called her for two emergency in-home problem-solving sessions. It was amazing. At the first session, we learned how to control our puppy indoors, how to get her on a house-breaking routine, and what to do to keep her from chewing on everything. At the second session, we learned techniques for managing our puppy’s behavior outdoors, and worked on further skills to prepare her for formal obedience classes. “I thought Chubbs would never be potty trained. I tried to train her with all the techniques I read about. I was able to potty train my older pup so why not my new one? After months of accidents and frustrations I called Barbara. She came to my house and showed me the best way for me and little Chubbs. “I am amazed at the outcome of Barbara’s positive training methods with my 3 year old rescued flat coated retriever mix. As a one year old rescue, Maggie had anxiety, fear aggression and abusive behavior with my other dogs. Having tried other reward-punishment methods with little long term affect, I began to lose hope that Maggie’s behavior could change. I was afraid that she would need to be re-homed. Barbara was able to read Maggie’s behavior and show me how to work with her. 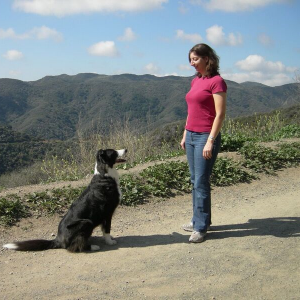 I write to introduce and recommend Barbara Davis, a Certified Dog Behavior Consultant (CDBC), certified by the International Association of Animal Behavior Consultants (IAABC), and also a Certified Pet Dog Trainer (CPDT), certified by the Certification Council of Professional Dog Trainers. Although Rose is a dog with a very sweet disposition, she had some adjustment problems after coming to my home, due in large part to an apparent lack of socialization in her home of origin with an “animal hoarder” who appeared to have neglected very critical elements of the socialization process. Rather than wait until the problems grew and multiplied, I researched Certified Behavior Consultants/Trainers in the area, and found Ms. Davis, who is located in the Corona area. Ms. Davis is, in short, an exceptional animal behavior professional. Ms. Davis is extremely well-schooled in the most cutting-edge thinking about animal behavior and training, and has a thorough grounding in the principles of classical and operant conditioning. Ms. Davis focuses on positive methods of dog training and socialization, which is very much in line with recent developments in the field. 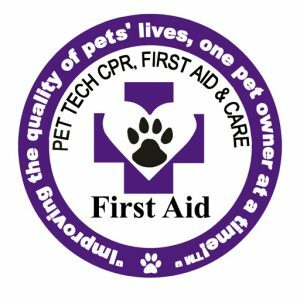 In the 5 sessions we have had so far, Ms. Davis has proven herself to be a compassionate and extremely able trainer, both in terms of her understanding of dogs AND their owners. Ms. Davis focuses on the larger picture, being entirely mindful of the needs, feelings, history and reactions of the owner as well as of the dog. One of the things that I particularly liked about Ms. Davis was her supportive role in helping “train” me to work with my Rose. Ms. Davis provided much support and encouragement in-between sessions, and supplied very sound and healthy guidance about specific problems I was having with Rose. 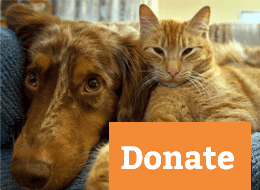 Ms. Davis also provides an excellent reading list that encompasses a wide range of references, including the most sophisticated works in ethology and animal behavior, as well as some very practical “how to” books. Ms. Davis is ethical and honest, and is very realistic about what a particular client and dog can accomplish. To me, the most important thing about Ms. Davis was the obvious (and reassuring) competence and sense of support I felt with her. She was able to help me provide the right kind of training for Rose, which has resulted in Rose having made great strides since she’s come here. The truth is that Rose and I could not have made this adjustment as well as we have without Ms. Davis’ skillful guidance, concrete training plan and kind, compassionate support. I recommend Barbara Davis to you as a resource for anyone needing puppy training, dog training/rehabilitation, rescue-dog adjustment or any other behavior issue or problem a dog and owner might have. Ms. Davis’ work includes, but goes far beyond the ordinary “training” classes that are available. Please feel entirely free to contact me regarding any questions you might have. Before calling Barbara at BADDogsInc, I had two 1 1/2 year old boxers, Baja and Gypsy. For the non-boxer owner, this may not mean anything to you but to the boxer owner, you get it. 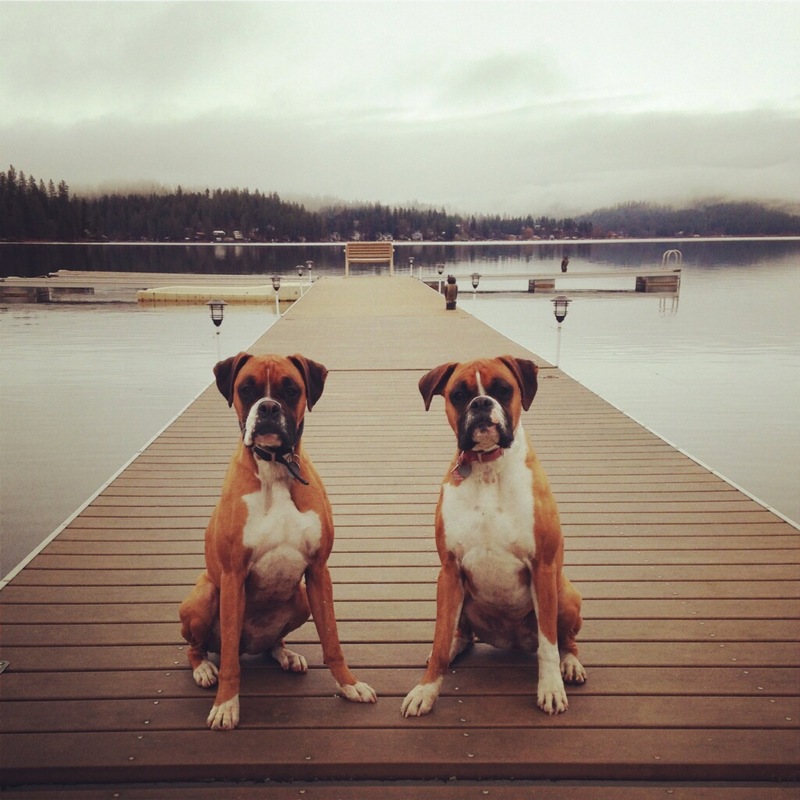 They were typical boxers-high energy feeding off each other’s energy, jumping on people, and sometimes showed aggression toward each other. They were double trouble. I did the private lessons at my home. Barbara provided the tools and techniques that catered to my dogs’ and my (as an owner) needs. I had to put in the work but practice makes perfect, well as perfect as two boxers can be. 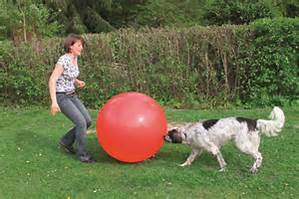 I was provided with great mental exercises that did miracles on teaching my dogs to calm themselves. I can even run a vacuum by them while they sit still. On the last day of their lessons, Baja and Gypsy came running towards Barbara and then sat right in front of her instead of jumping excitedly on her and around her. Miracles do happen! I highly recommend BADDogsInc, especially if you’re willing to work with your dog. As Barbara can tell you, it’s usually the problem owner and not the problem dog. Barbara has years of experience and it shows. I’m so thankful Baja, Gypsy, and I were able to connect with Barbara. I recently moved to Eastern Washington and as you can see my boxers will even sit on a dock even with all the geese and ducks taunting them in the distance.